Think all websites look the same? Think again. Here is a microsite we have done recently that takes a different approach to content and layout. 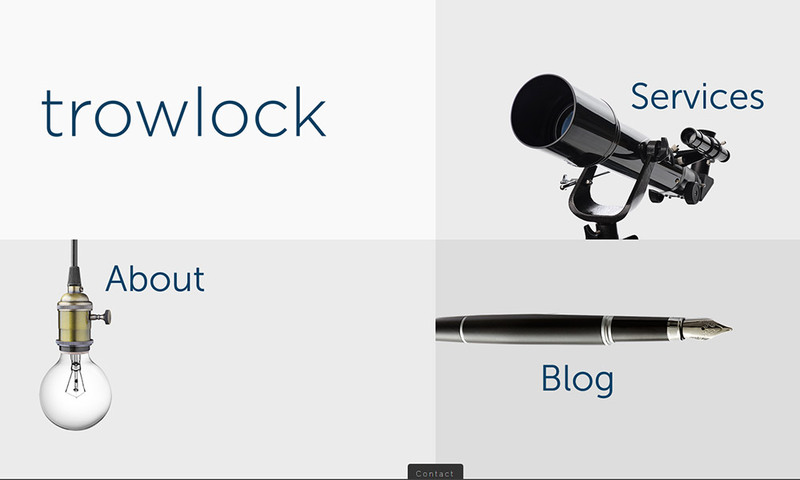 Trowlock offer business consultancy services for small to medium sized businesses. Jamie Ross, director of Trowlock, wanted something that stood out from the run of the mill websites that he had seen and he was delighted with the result.